His Excellency Eugene B. 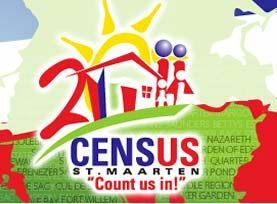 Holiday, Governor of Sint Maarten and the Honorable Sarah Wescot-Williams, the Prime Minister of Sint Maarten, paid their second working visit to the civil registration office, Census on Monday February 14, 2011. During the visit they held their first quarterly meeting as stipulated in the covenant regulating the cooperation on the organization of the issuance of the Dutch passports in Sint Maarten as signed on October 10, 2010. The main purpose of the Covenant is to ensure a proper issuance of national passports on St. Maarten. It contains a number of administrative and operational agreements between parties including provisions for regular progress consultations. To execute the covenant a representative of the Governor has been placed at the Census. Also present at the meeting were the Head of Census and the Director of the Cabinet of the Governor. The meeting addressed the administrative and operational aspects of the issuance of passports. Other subjects discussed were the basic administration of the civil registry, training for personnel and the security of all processes.